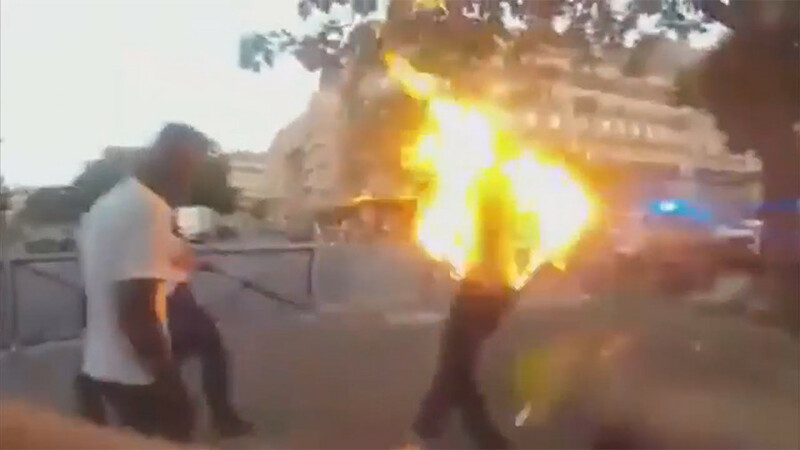 Bodycam footage of an altercation between an already injured man and French police captures the moment the suspect burst into flames after being simultaneously tear gassed and tasered. The video has been making rounds online. The shocking video was captured by the bodycam of one of the officers involved in the incident, which dates back to July 2013, but has surfaced on social media only this week. The video shows a shirtless and visibly agitated man with one of his arms covered in blood moving towards officers while insisting he had done nothing wrong. Although the man does not appear to be overtly aggressive, he repeatedly taunts the officers and refuses to obey when told to stop and put the hands behind his back. “Did I attack you!? Get your hands off me! Don’t touch me! No, no, don’t touch me. Motherf**er, are you gonna arrest me! ?” the man is heard saying. However, as the man begins hurling insults at the officers, goading them to use a taser, their patience apparently wears thin. “We’re gonna bring him in for contempt of cop!” says an officer, as the situation escalates quickly. Shortly afterwards, one of the officers strikes the man’s legs several times with a baton, while two others fire tear gas and a stun gun at the same time. The combination causes the man to burst into flames. It is unclear what preceded the standoff and no information on the suspect has been made available. 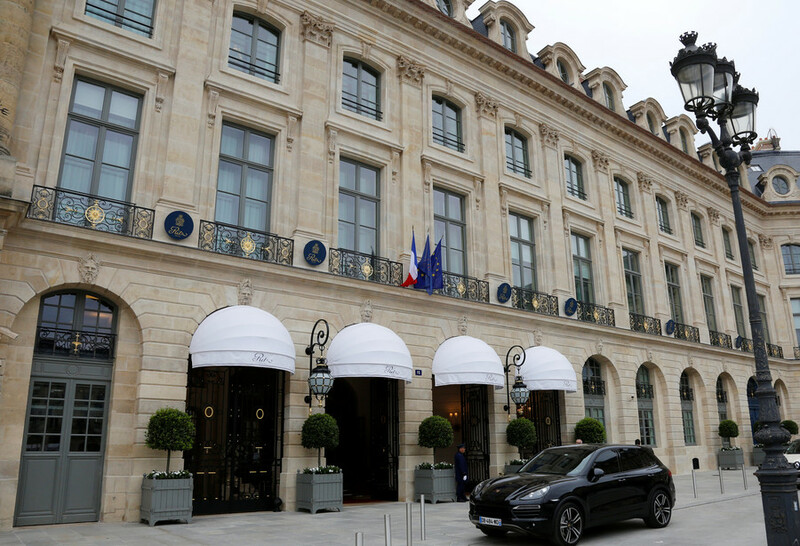 An internal investigation was conducted but did not resulted in any charges being filed or punishments for the officers involved, French media reports. While the video of the incident suggests the man was in a lot of pain during the confrontation, police spokesman told LCI news he did not sustain any serious injuries. 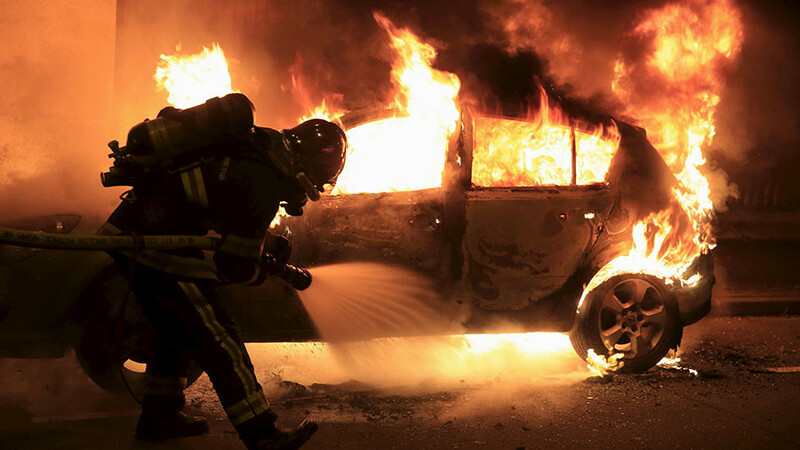 French police have repeatedly faced accusations of using excessive force and abuse in recent years. An anti-drug police operation in western France triggered a social media ridicule after it was revealed a total of 24 officers and two sniffer dogs were sent on a raid which yielded a mere 7 grams of cannabis. 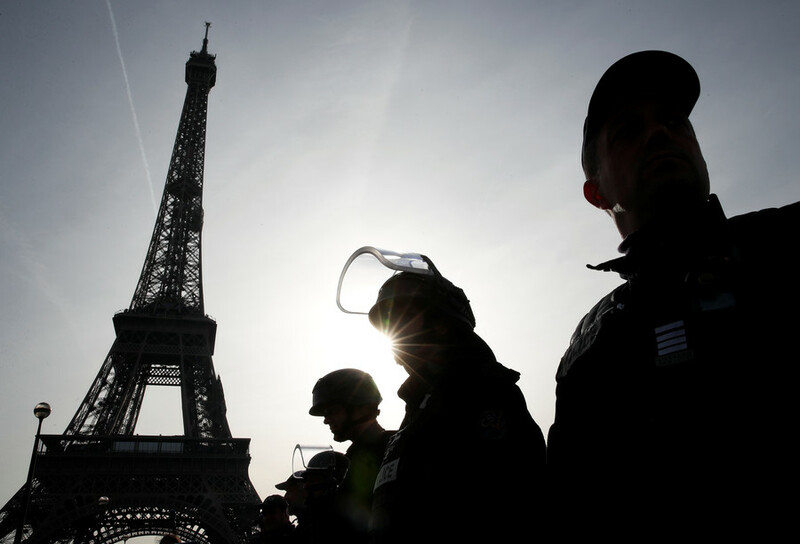 Police were granted sweeping powers under the new anti-terrorism law that replaced a two-year state of emergency imposed in the wake of the deadly 2015 Paris terrorist attacks. 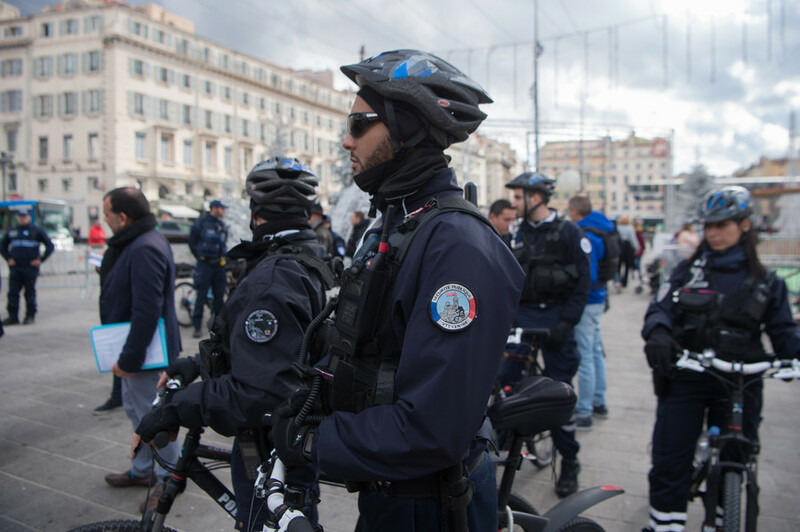 An extra 10,000 officers and gendarmes will be hired under the new law, approved by the French Parliament in October. 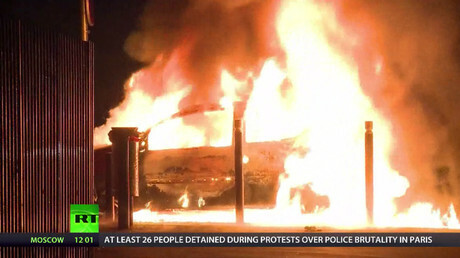 The French capital, Paris, frequently hosts mass protests against brutality and alleged racial profiling by police. In February last year, the city was gripped with protests after a 22-year-old black man claimed a police officer had raped him with a baton in the course of a routine ID check. 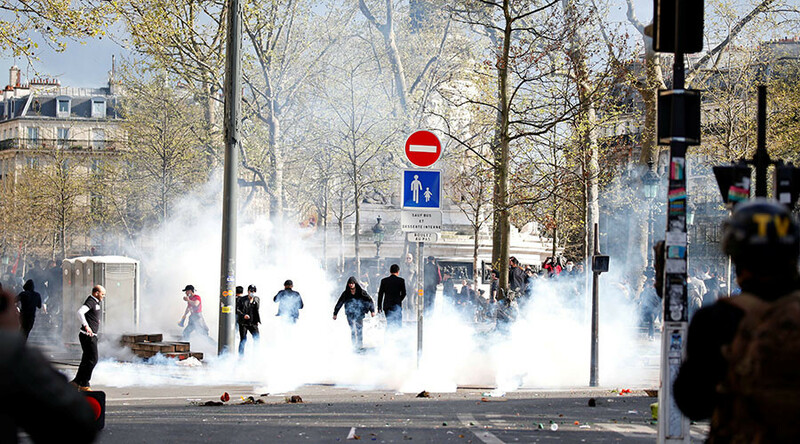 In April, outrage following the killing of a Chinese man in his house by police led to violent clashes between protesters and officers in Paris.